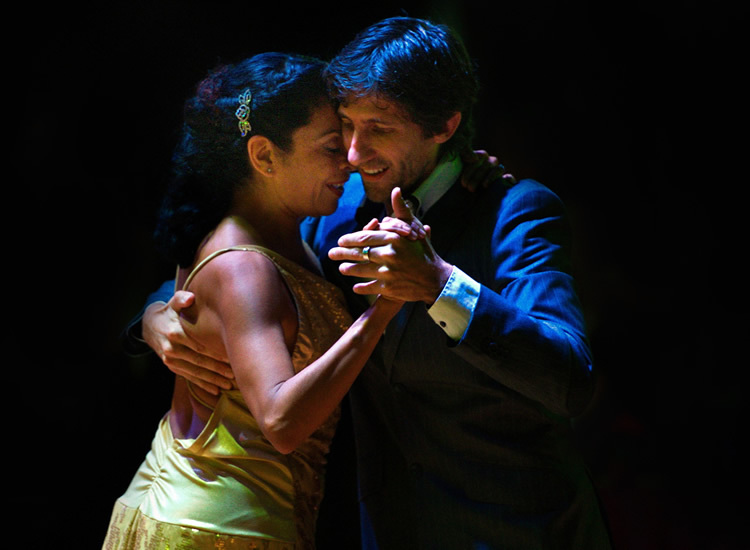 Rising stars among the young generation of Tango dancers from Argentina. Dancing since their teens they have a wide background in different forms of dance, Salsa, Zouk, Samba, contemporary dance, all of which feed into their Argentina Tango. As a couple they have been teaching more than 5 years and developed a style and way of dancing of their own, a combination of modern ideas and their individuality along with more traditional aspect of the dance as salon style to use in milongas or social dancing. Base in Buenos Aires they are welcomed as guest teachers at important international tango events and festivals. Today they are among the most recognisable and acclaimed young couple in the world of Tango Salon. Mabel learned her first dancing steps in the city of Rosario, Argentina. From there she trained in different dance styles that have enriched her understanding of Argentine Tango. She is an exceptional and inspirational teacher and in her classes you will find new ways of enjoying the dance, connecting with your partner, feeling the music and how to share a wonderful moment. Mabel lives in Berlin and teaches throughout Europe but is a frequent visitor to the UK and the Tango Feast.